Well, with all the frenzy around 2017's announcement of the retirement of the color Dandelion and then the contest to name the new blue color and then the announcement of the new color Bluetiful and the introduction at the end of 2017 and into 2018, it has been a good time for crayon box collectors (and color collectors too). First of all, we gained three new boxes for the contest. 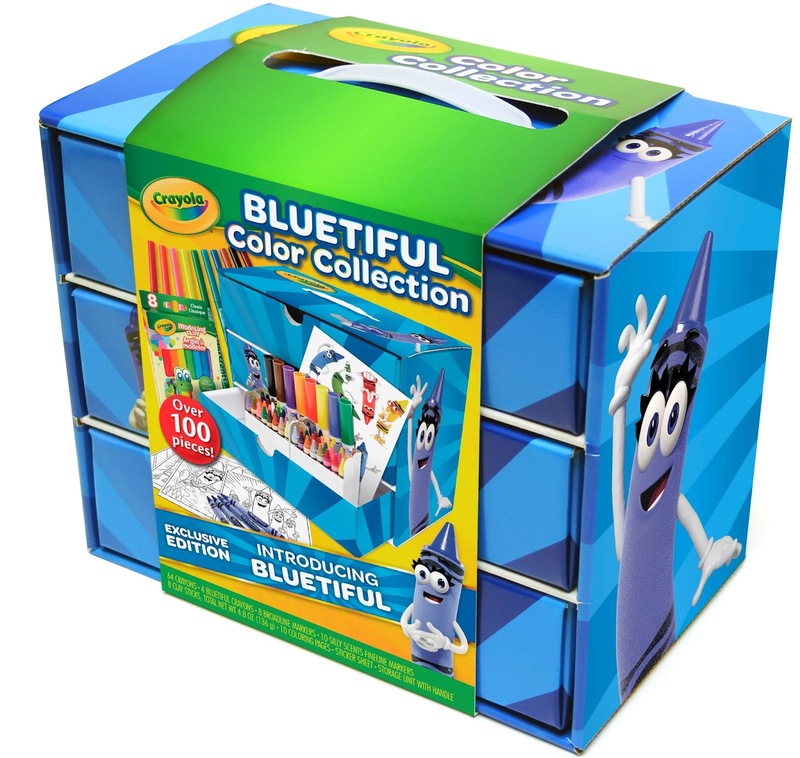 Then we gained a whole bunch more boxes to introduce the new blue color. 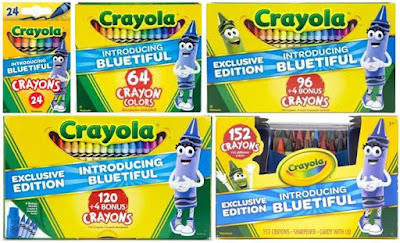 Of course, the way they generate all of this publicity comes at the cost of losing a color from their catalog which to me seems a bit silly. Really? You have to get rid of a color to introduce a new color? 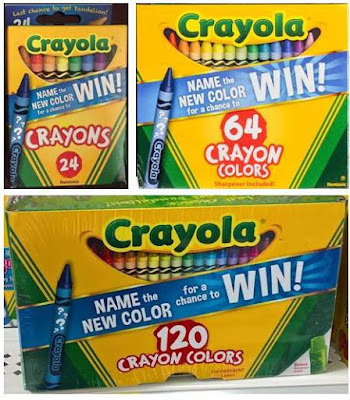 I guess only so many will fit in each container though so clearly they had to remove a color...but why remove it from the entire spectrum of boxes and bulk orders? 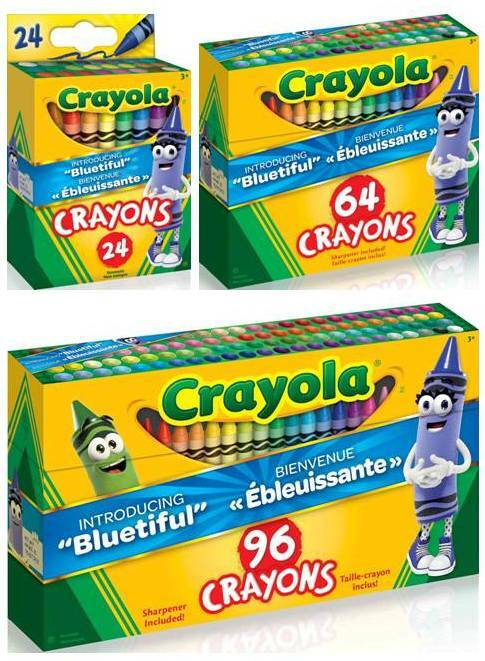 It is interesting to note that they chose only 3 boxes to use for the naming but 5 for the introduction and the 3 from Canada and then the Color Collection. 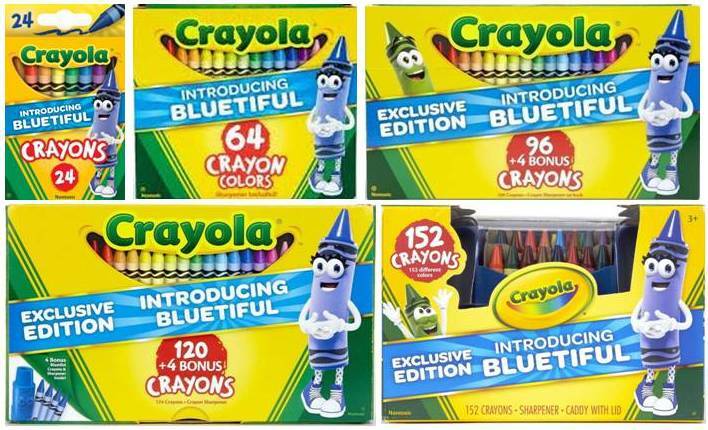 Of course, they skipped the No 48 box which should also have the new color. 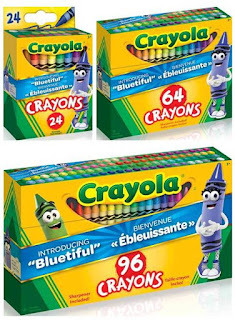 Such are the mysteries of crayon collecting.